Focusing on real business insights from real business professionals, WIRED created an integrated content program. Professionals from leading companies were interviewed to discuss the ways in which they are driving leaner, more efficient operations. 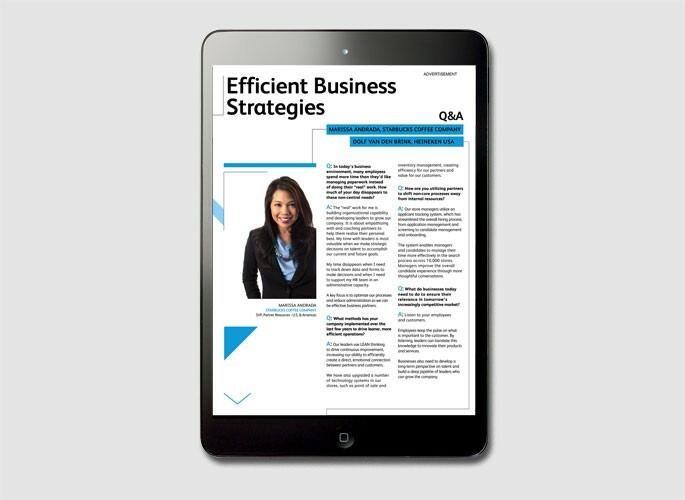 Print: A custom 4-page gatefold provided insight on how top executives are streamlining non-core processes, allowing them to focus on what matters most—their “Real Business.” A prominent Xerox-branded sidebar highlighted Xerox services that matched each business professional’s commentary. Digital: WIRED created a custom in-banner video ad unit that brought the print content to life. 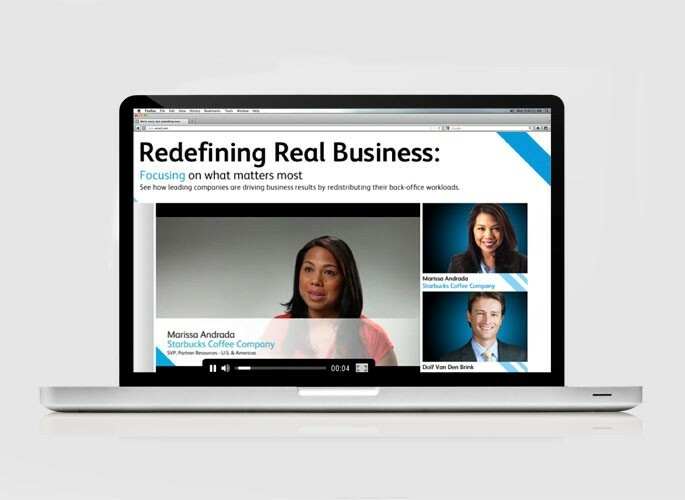 The videos featured 2-minute interviews with the business professionals profiled in the insert. Tablet: The interactive tablet execution allowed users to explore a Xerox-supplied Real Business Office, complete with five interactive hot spots that provided insight on how Xerox has helped companies prepare for business. 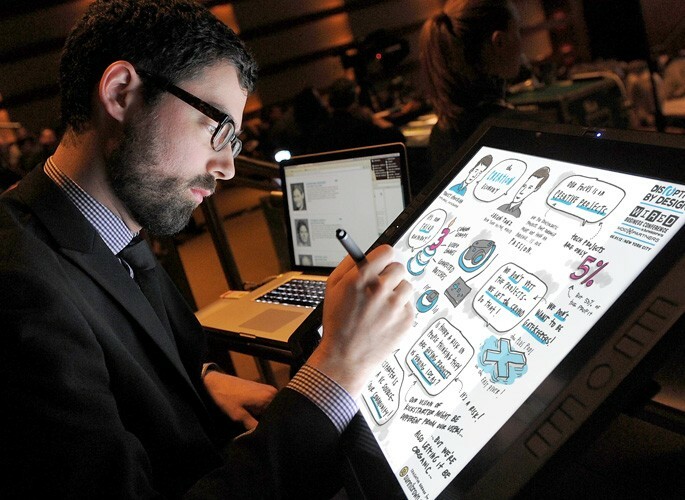 Session Notes: WIRED enlisted a professional note taker to distill the conference’s most important content into real-time visualizations from a Xerox-branded area within the auditorium. Following each session, watermarked notes were posted on WIREDBusinessConference.com for download. Real Business Café: The Real Business Café featured laptops, tablets, and a charging station for business use throughout the day. Guests enjoyed opportunities to network, watch a real-time simulcast of the conference, and check out the visual notes. Plus, complimentary snacks allowed guests to refuel and stay focused without missing a beat.